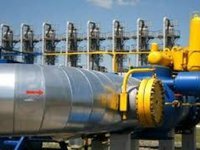 The National Commission for Energy, Housing and Utilities Services Regulation of Ukraine (NCER) has approved draft amendments to the Gas Transmission System (GTS) Code regarding distribution of pipelines and the introduction of the service of providing access to pipelines with limits. The decision was made at a meeting of the commission on Thursday. The draft document on approval of changes to certain decisions of NCER implies a change in approaches to ordering capacities at domestic entry/exit points of GTS, making it possible for customers to receive transportation services with more flexible access mechanisms for different periods (annual, quarterly, monthly and a day ahead). "After introducing the provision of access to pipelines for more short-term periods, customers of transportation services will be able to more efficiently plan volumes and the use of pipelines," the commission said in the draft document. In addition, the document also proposes to introduce a service of providing access to pipelines with limits, which among other things will allow loading Ukrainian gas storages facilities at the expense of European suppliers, diversify the sources of income of the GTS operator, increase cross border trade, and reduce the tariff burden on domestic consumers. In general, the document proposes amendments to the Code of Gas Storage Facilities, frame contracts for gas transportation and storage, and methods for calculating gas transportation tariffs for entry/exit points. Proposals to the draft document are accepted within a month.